With the March For Our Lives and other student walk outs planned in coming weeks, there are two ways for Arizona school districts to respond to this student-led protest movement. I suggested that “the Arizona Secretary of State’s office and our 15 County Recorder’s offices, along with voter registration organizations such as the League of Women Voters and many others, could coordinate with Arizona’s school districts to make voter registration tables available at every Arizona high school for seniors participating in these extraordinary events to register to vote. High school civics teachers should see this as a golden opportunity to teach their students about civics.” Register high school students to vote at March for Our Lives and #NeverAgain events. It would be great if our political leaders were proactive in their support of political engagement and participation by our high school students. Dozens of students at a Phoenix-area middle school were suspended for leaving campus during a walkout to protest gun violence and to support victims of the Florida school shooting. More than 100 students from Ingleside Middle School participated in the Tuesday protest, which lasted 17 minutes — a minute for each person killed at Marjory Stoneman Douglas High School in Parkland, Florida, last month. “We have rights and we feel like we need to express those rights to make sure that the president and all these political figures hear our voices because they haven’t done anything yet, and we really think they need to make a change,” eighth-grader Madeline McRoberts told KTVK-TV. Leaving campus during school hours without permission from parents is a violation of the district’s code of conduct, said officials with the Scottsdale Unified School District. The students who left school property and did not return were given one-day suspensions, district communication specialist Nancy Norman told The Arizona Republic. The students who left campus but then returned were suspended for the rest of the day. The participating students who stayed on campus were not disciplined. Principal Chris Thuman warned parents ahead of the walkout in an email Monday. He acknowledged a walkout would show a message of solidarity. “However, as the principal of Ingleside Middle School, I feel it is more important to have students remain in class and on campus no matter what issue may be in the news,” Thuman wrote. 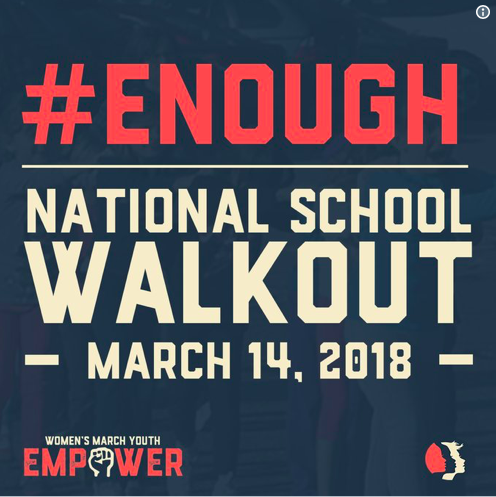 Students planning to participate in the student walk outs and march need to understand that your First Amendment rights while at school are not coextensive with your First Amendment rights outside of school. The Scottsdale Unified School District, above, was within its rights to discipline these students. In the wake of the Parkland shooting, thousands of students across the nation are planning walkout demonstrations to protest American gun laws. 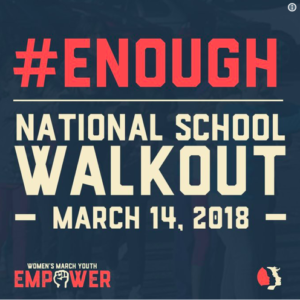 While these acts of civil disobedience may be effective and very well-intentioned, it is best to know how these actions fall in regards to your First Amendment rights and whether or not they may lead to school discipline. The First Amendment Does Not Consider a Walkout Protected Speech. The First Amendment protects the right to freedom of speech, expression, and assembly. However, these rights are not absolute in that a person is not given the right to assemble anywhere or say anything. Though limitations on free speech are very narrow, they do exist. Speech rights of students may be further restricted. School officials are required to create a safe learning environment. Disruptive acts of civil disobedience may reasonably be interpreted as interfering with the education of other students, and therefore certain acts may not be allowed. This does not mean that all speech and assembly rights are discontinued on school grounds. On the contrary, several Supreme Court cases uphold speech rights for students, such as wearing political symbols (Tinker v. Des Moines) and the right to abstain from reciting the pledge of allegiance (West Virginia State Board of Education v. Barnette). However, a school walkout is not considered the same type of speech as wearing a political slogan. A school may take corrective action if you miss school without an excused absence, even if you were participating in a political protest. 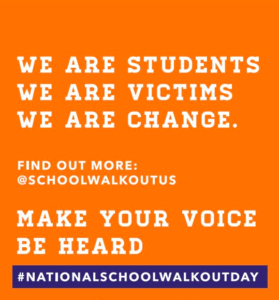 Your School May Punish You if You Participate in a Walkout. Students are required to be at school except for an excused absence. Leaving school grounds without permission may lead to discipline by school officials. However, schools may not discipline students more harshly because they are participating in a political protest. For example, if the normal repercussion for missing school without an excused absence is detention and a student receives a suspension for missing school for participating in a walkout, this may be a First Amendment violation. 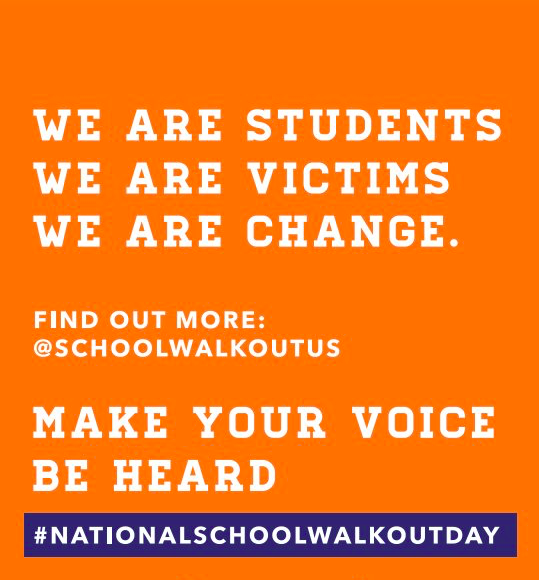 Should you participate in these walkouts? It certainly isn’t up for the ACLU to say whether you should or should not participate in a political act of civil disobedience. Dr. Martin Luther King Jr. once said that he would accept “the penalty of imprisonment in order to arouse the conscience of the community.” It is up to every individual person to evaluate the potential benefits and consequences to an act of civil disobedience, such as a walkout. This information should not be interpreted as a promise of ACLU legal representation or that our organization will intercede on your behalf. If you feel your First Amendment rights have been violated, you can always try REQUESTING LEGAL ASSISTANCE FROM THE ACLU OF ARIZONA or contact the State Bar of Arizona for referral to a First Amendment attorney. UPDATE: Here is a link to the ACLU student free speech rights training STUDENTS’ RIGHTS: SPEECH, WALKOUTS, AND OTHER PROTESTS and the ACLU People Power live online training video (Youtube) with Faiz Shakir, Ben Wizner, and Vera Eidelman. The ACLU also has a hub-page, a Know Your Rights feature, and graphics from the training. The ACLU also has an online form for students to report on how their schools are responding to protests.